In medium bowl, mix flours, sugar, baking powder, cinnamon and salt. Make well in middle of mixture; add eggs and oil. Stir with fork just until dry ingredients are moistened. Fold in zucchini. 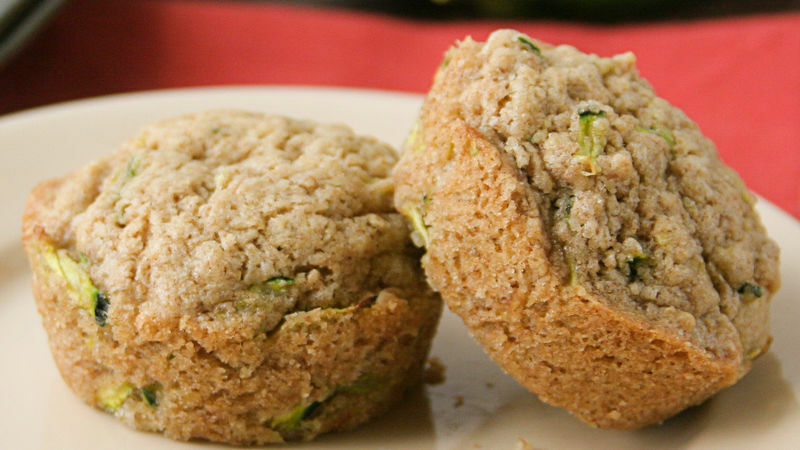 Divide batter evenly among muffin cups, filling two-thirds full. Bake 17 to 20 minutes or until toothpick inserted in center comes out clean. Remove from pan to cooling rack. Serve warm. You can omit the whole wheat flour and increase the all-purpose flour to 1 1/2 cups. Substitute yellow squash for the zucchini if you have it on hand.